Manchester Pride 2016 - I'll be signing books on Saturday the 27th in the Market area at the Bold Strokes stall. Come and say hello. Brighton Pride 2016 - see you at the Bold Strokes stall with Robyn Nyx, I Beacham and Brey Willows. The 7th Annual Bold Strokes Book Festival, UK is to showcase the amazing talent of the Bold Strokes Authors in the UK, as well as those occasional others who join us from other areas. It's a free, wonderful weekend of fun, frolic and lots and lots of books and writing. 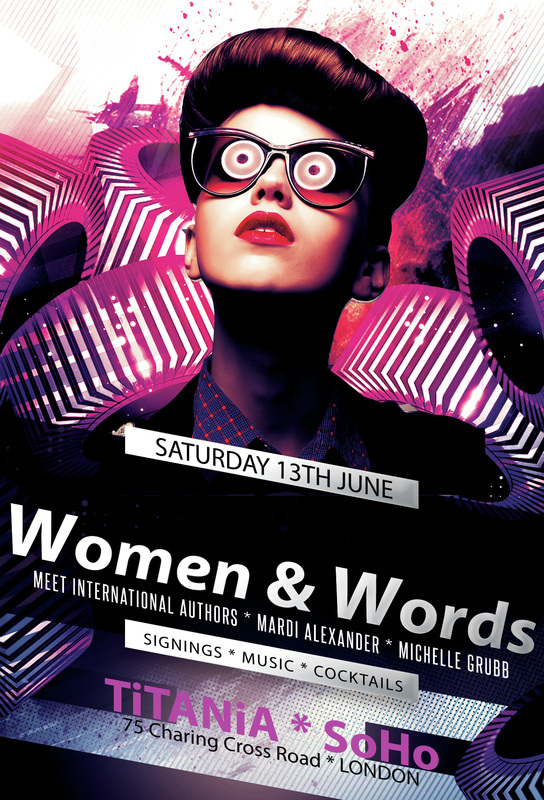 On June 13th, 2015, join me and bestselling author Mardi Alexander for a relaxed afternoon and evening at Bar Titania in Soho, London. We will be reading from our current works and also a sneak peak from future projects. Come and join us for drink and a chat.